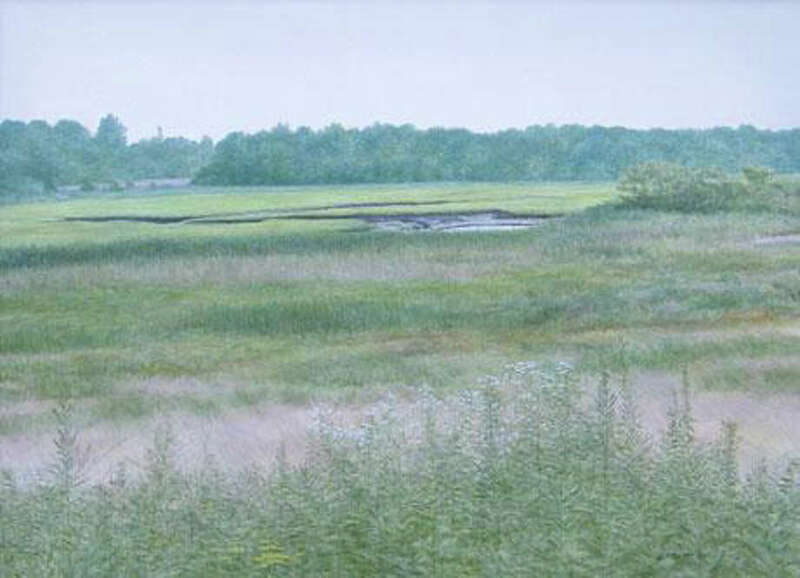 The Geary Gallery announces its January exhibit, "Connecticut Landscapes, the Paintings of George Stewart." The works of this prestigious artist and Ridgefield resident will be on display throughout the month of January. The Geary Gallery, the premier art gallery of Fairfield County for contemporary representational art, offers a rotating schedule of monthly exhibits. Art lovers are invited to view Stewart's emotive landscapes this month. Stewart is a Connecticut-born artist, currently residing in Ridgefield. Stewart has always had a strong emotional connection with his surroundings and with the changing seasons. He believes that certain feelings evoked by a particular scene at a moment in time can only be expressed visually and he says that there is tremendous satisfaction in being able to share those feelings through his paintings. "I guess that's why I am a painter and not a writer," Stewart said. Stewart began painting as a young boy, and as a teenager studied under world-renowned watercolorist Frederick Whitaker. His formal training continued at The Silvermine Art School in New Canaan from 1966 through 1968. Although working for many years as a technical illustrator, his passion continues to be painting. While his work is definitely representational, he does not strive for extreme realism. "Sometimes detail is more powerfully implied than spelled out," he said. "More important than describing every leaf or every blade of grass, is to have the values under control. When you get the values really right along with the lighting, other aspects of a painting become almost secondary." Stewart generally works from photographs and small pencil studies done on location. "I find that when everything comes together for just a moment, the sky, the light breeze that plays on the surface of the water etc., that moment is very short," he said. For that reason, although he enjoys plein-air painting, he generally prefers to complete his paintings back in his studio rather than working at length under changing conditions. "I try not to be overly philosophical about my subject matter or my technique. I prefer that the paintings speak for themselves," Stewart said. To view his work visit www.gearygallery.com/gallery/?function=list&artist_id=85. Admission is free, and the paintings are available for purchase. The Geary Gallery is regularly open to the public Wednesdays through Saturdays, 9:30 a.m. to 5 p.m. The Gallery is located at 576 Boston Post Road, Darien. For more information, call 203-655-6633 or visit www.gearygallery.com. The public can enjoy a new show nearly every five weeks. In addition to the gallery, located on premises are accent picture framing and restoration with an extensive selection of more than 2,000 corner samples for any type of artwork. Its precision restoration service has restored oil paintings and frames that hang in many museums, galleries and historical societies. Geary Gallery is owned and operated by Anne and Tom Geary, who have spent more than 27 years as friends to artists, spotting talent and market appeal and nurturing careers.